Phil Hellmuth is almost always positive, except for when the cards don’t go his way. 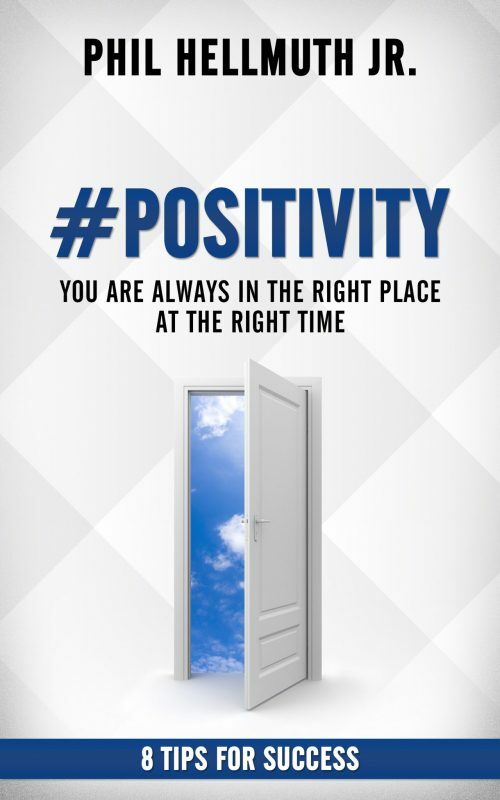 But now he has released a new book on Amazon, “#POSITIVITY: You are Always in the Right Place at the Right Time,” that may be a note to himself that can also help his fans win at the game of life. Hashtag #POSITIVITY has been Hellmuth’s mantra for quite some time. The WSOP bracelet record holder loves to stamp that hashtag on his Twitter posts when he’s showing off his glamorous lifestyle. The poker pro’s new self-published book can be purchased on Amazon in Kindle form or paperback. Hellmuth’s autobiography, “Poker Brat,” which was released last summer, and five other books he’s authored are also available on Amazon. In his new motivational book, Hellmuth teaches readers how to stay positive regardless of the situation and drown out negativity. #POSITIVITY offers 112 pages full of motivational mantras, and will soon be released on audio. 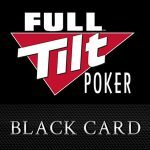 According to Hellmuth’s recent Twitter post, the audio version should be available sometime next week. What you won’t find in the book is a poker player complaining about how “if it wasn’t for luck, I’d win every tournament.” Nor will the author refer to foreign poker players who beat him as “idiots from Northern Europe,” as he has done in the past, because that isn’t what #POSITIVITY is all about. Phil Hellmuth is one of the most successful tournament poker players in history. He has a record 14 WSOP bracelets, more than $22 million in lifetime live tournament winnings, and was the 1989 world champion. Known as the “Poker Brat” for often complaining when he loses, Hellmuth is one of only a few players in history who have had success in this game throughout four decades. In his early 20s, he held his own against established pros such as Johnny Chan and Doyle Brunson. In 1988, he won his first major tournament ($10,000 buy-in Diamond Jim Brady) for $125,000, a large sum back in those days. And then, a year later, he proved he was already one of the best in the game by winning the 1989 WSOP Main Event for $755,000, life-changing money. During the 1990s and 2000s, Hellmuth dominated the tournament scene and became one of the most polarizing figures in the game. He hasn’t had nearly as much success this decade, and part of that is likely due to his refusal to adapt to the “game theory optimal” philosophy the younger pros have implemented. But he remains confident that his “white magic” poker strategy, which is based more on physical tells than math, is still effective. Those who are positive believe in what they are doing. 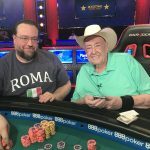 Doyle and Todd Brunson Launch Poker Training Site, But Is Their New System Super? against Negreanu and against my favourite one which is Doyle Brunson. But I always pay attention on his moves, and he is quite a Genious playing. I have only two books about poker and this one is really interesting because It´s UP! I see Phill Helmut as one of those friends that everyone has: Half-hearted, moody, boring, but that guy you know deep down is cool, and turns out to be a good company. Life is already very difficult for us to face with negativity and regrets. I find it always good to have a positive attitude and learn to live with the glass half full which is what we have most of the time. I like him, but one day I will be better than him! He is an excellent argument for therapy. I believe his wife is some kind of psychotherapist. He does an excellent job of controlling himself these days. It makes me long for a good old fashioned Hellmuthian Meltdown. White Magic!